Home Blog Advice Get What You Deserve: What Is a Class Action Lawsuit and What Can It Do for You? Get What You Deserve: What Is a Class Action Lawsuit and What Can It Do for You? In 1998, the largest class action lawsuit in US history settled for $206 billion. Although they don’t always bring that kind of compensation, class action lawsuit filings are on the rise. If you’ve suffered an injury, health issues or other damages as a result of someone else’s negligence, you may qualify to file a class action. But what is a class action lawsuit and how do you know if it’s right for your case? Considering the great cost, time, and resource-saving benefits of a class action lawsuit, these are questions you should have the answers to. Keep reading to find out everything you need to know about class action suits and where your case fits in. When many people are wronged by the same defendant, they might enter into a class action lawsuit. This lawsuit involves many plaintiffs with similar complaints against a common defendant. The group of plaintiffs is “the class”. In a traditional lawsuit, one party sues another for redress or wrong. All parties involved in the lawsuit are present in the Court proceedings. Class action lawsuits conserve the resources of the Courts, the plaintiffs, and the defendants when the number of plaintiffs is impractical for inclusion in the Court proceedings of a standard suit. Representative plaintiffs file class action lawsuits n behalf of themselves and others. They represent all the potential plaintiffs and conduct the litigation. The other plaintiffs don’t have to get involved in the lawsuit to receive their damages. The resolution of the lawsuit extends to anyone affected by the defendant’s actions. Plaintiffs are usually contacted and instructed on how they can access their share of the compensation. And in cases where contacting all plaintiffs is impractical, a fund can be made for those who can prove their involvement and harm. Class action lawsuits are usually pursued against financial institutions, manufacturers, employers, retailers, and government entities. They’re often filed based on allegations of false advertising, discrimination, defective products, or unlawful employment practices. But a class action lawsuit isn’t the right lawsuit for all forms of litigation. To qualify for a class action, a few characteristics must be present. In order for the Court to even consider certifying your case – which we’ll discuss more later – a class action must meet the following criteria. The purpose of class action lawsuits is to make it possible for numerous plaintiffs to litigate in 1 case. The idea is that it’s more practical for claims that are similar in nature to be resolved together than to see each case individually. Therefore, in order to qualify for a class actions lawsuit, there must be many plaintiffs. Typically, there should be several dozen or more. It follows that the claims in class action suits should be similar in nature. Commonality means that it’s unnecessary to hear each individual claim in order to understand the issues at hand. The facts of each claim should be similar, though they need don’t need to be identical. They might also be asking the court to resolve similar questions about the law. The lead plaintiff in a class action is the class representative. The class representative is responsible for litigating the lawsuit and making decisions in terms of the resolution. The class representative must have a typical case. The details of their claim must be representative of the class as a whole. This way, the resolution helps resolve the issues for all of the plaintiffs involved. Class action lawsuits carry a large number of procedural requirements. They involve complex paperwork, documentation, and expertise. For this reason, hiring a class action lawsuit lawyer gives you your best chance at winning your case – especially if the defendant is a large corporation with access to experienced and expensive legal representation. The first step in filing a class action lawsuit is picking up a complaint filing sheet at a civil court. Fill out the document accordingly and check the appropriate box for a class filing. Along with the filing sheet, you’re required to file the actual complaint with the claims of the lawsuit. The defendant is then served the complaint. And after these initial steps, the class has to get certified by the court. The most important step in filing a class action lawsuit is having the class certified by the court. The process for initiating certification differs from state to state. Either the plaintiff will have to file a motion to have the class certified or the court takes that responsibility. All of the above conditions must be met before a court will even consider certifying the class. A class action lawsuit can only move forward with this bit of permission from the court. And whether or not the class is certified is completely up to the discretion of the judge making the decision. In some cases, the judge may decide not to certify a class even when all conditions are met. Similarly, certification doesn’t mean that the judge agrees with the claims of the plaintiffs. It simply means the court believes the class has a viable case. When a class doesn’t receive certification, the case is automatically dismissed. When the class is certified, pre-trial procedures begin. Why File a Class Action Lawsuit? Now that you know the class action lawsuit definition and procedures, you might be wondering what their benefits are. So, why would you choose to file or join a class action lawsuit? We’ve got 6 reasons for you. In a traditional lawsuit, the single plaintiff is responsible for paying their legal and lawyers fees. In a class action lawsuit, those costs are shared among numerous plaintiffs. That makes litigation more accessible and affordable than it would be a standard case. Some lawyers will handle class action lawsuits on a contingency fee basis. Contingency means that the lawyer doesn’t take any fees for their services until after they’ve settled or won the case. In these cases, there’s no financial loss to the plaintiff if no damages are won. A class action lawsuit is a complex, time consuming, and expensive endeavor. To be successful, it requires an experienced lawyer, expert witnesses, thousands of documents, and literal years of development. Bringing cases together under a class action allows these resources to be pooled and conserved. In this way, numerous plaintiffs can work with one attorney or team of attorneys. Plaintiffs who couldn’t otherwise cover those costs have a chance at justice. And those with claims too small to be handled individually also have a chance at securing compensation for damages. Resource pooling is also beneficial to attorneys. Individual lawyers don’t have to learn the details of the individual cases and duplicate the work. Because of the sheer number of similar claims, a class action lawsuit lends power to the credibility of the plaintiff’s allegations. When several dozens of people come forward with the same issue and injuries against the same defendant, the likelihood that their stories will be believed increases. If a defendant or business is sued repeatedly for the same or similar issues, they can eventually go bankrupt. That’s especially true if a number of plaintiffs bring claims against them around the same time and win their cases. But with a class action lawsuit, the plaintiff’s all bring their claims at the same time and receive their reward at the same time. This increases the likelihood of receiving compensation for any damages sustained. It also provides compensation to a larger number of affected individuals. Class action lawsuits are allowed by the courts because they also benefit from their use. First, class action lawsuits help avoid appeals that result from inconsistent verdicts in similar cases. When one judge settles the claims of numerous plaintiffs, inconsistent verdicts can’t become an issue. Second, class action lawsuits don’t clog up the court schedule. It’s more efficient and time effective to preside over one class-action lawsuit than to preside over many individual lawsuits. Of course, you’re usually given the right to opt out of a class action lawsuit if you’re a potential class member. The class representative is required to inform potential class members of their right to participate. Typically, a time limit on opting out is also provided. Class members can reserve the right to bring a case to the court on their own accord. In many cases, if a class member doesn’t opt out of a class action, they can’t bring the case to the courts as an individual afterward. A class action lawsuit is a good option for a large number of plaintiffs who can meet the commonality criteria in their claims. It can save costs, bring better representation to those who otherwise couldn’t access representation, and also increases the likelihood of receiving financial compensation. But there are some disadvantages to filing or being part of a class action lawsuit versus taking the case to court on your own. In some cases, the compensation received is insignificant. Because the compensation for damages is spread across a large number of plaintiffs, you don’t often receive much in terms of financial rewards. In other cases, the cost of legal fees reduces the amount you ultimately receive. Although the claims in a class action lawsuit are similar, the damages of each individual are usually unique in some way. It’s difficult for the court to decide how to compensate for those unique differences. This leads to unfair apportions of the funds and the inability of plaintiffs to appeal the decision. Using a professional attorney helps to ensure that class members receive their fair portion of the damages. They’ll have experience in deducting appropriate litigation fees and class representative incentives. 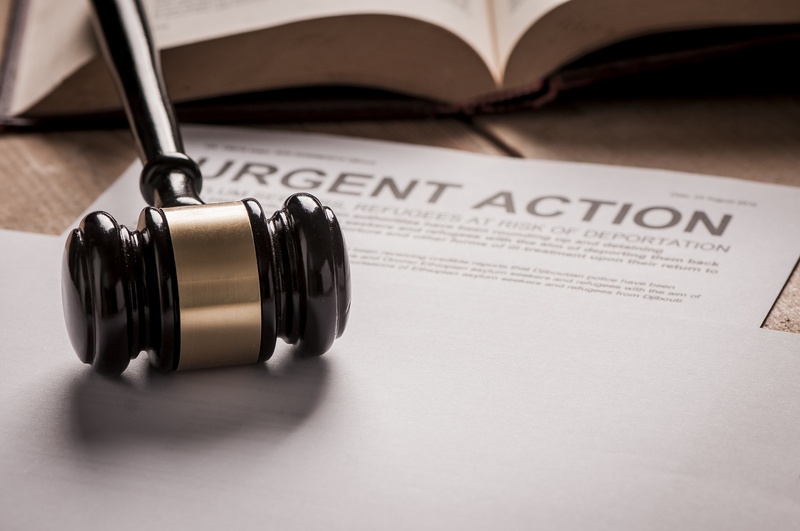 When a large number of people are negatively affected by the negligence of the same individual, group of individuals, corporation, or other entity, they might be able to file a class action lawsuit. But what is a class action lawsuit? It’s an opportunity for many plaintiffs to pool their resources in a claim against a common defendant and recover damages. While critics of class action lawsuits point out that compensation doesn’t always match the damages, they make legal recourse more available to individuals. But remember that if you join a class action or forget to opt out, you could lose the right to take your claims to court as an individual. And for more information on class action lawsuits and your legal rights, contact us today. Who Is Required To Report Child Abuse In Louisiana?